The top selling bull in the Eagle Pass Ranch Spring 2018 Bull Sale. 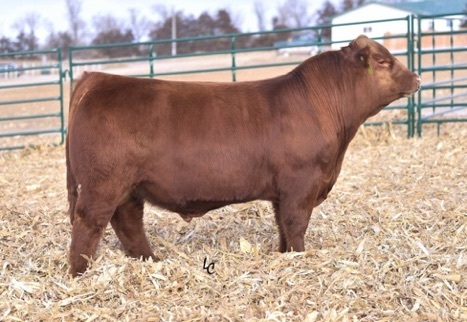 Enterprise’s incredible donor dam, EGL Phoenix T029 ET’s, progeny feature a 126 weaning weight ratio and her donor dam, EGL Phoebe G374, features a 110 weaning weight/117 yearling weight ratio on her calves. 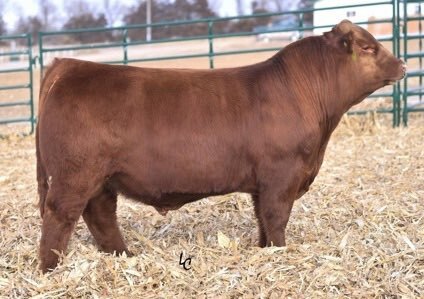 Awesome combo of breed-leading Gelbvieh and Red Angus genetics in a phenotypically unmatched package.